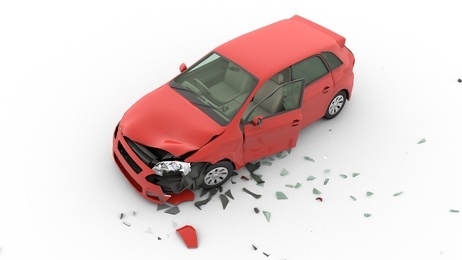 Repairable salvage cars for sale are often misunderstood. Many new buyers at online auctions mistake them for junk not worthy of their money. But the facts say otherwise. While some of these vehicles might have sustained significant damage, others may be well within the scope of repairability, while others might be in working condition. People are motivated by different interests when buying a salvage car, three of which we will discuss in this blog post. Salvage cars may have dents and bruises, but some of them are still in an operable condition and can be made road-ready with a small investment. That makes them ideal for people who need a vehicle to get around town, as exterior damage is not much of an issue for them as long as the engine is fine. Online auction sites such as AutoBidMaster.com offer a safe platform for people to buy such salvage cars. Salvage cars make an ideal investment for DIY enthusiasts and car modifiers who work on car restoration projects or rebuild junk cars for sale to make some profits. For such people, there can’t be a better proposition than buying salvage vehicles at rock-bottom prices, and resurrect them to showcase their skills and make a profit should they choose to sell their masterpieces. While many salvage cars have substantial damage, it is unlikely that all of the parts in a vehicle are damaged beyond repair. In fact, many of the internal components are still in mint condition and reusable, even when the outer body is rendered “total loss”. The immediate benefit of damaged cars for sale is obvious when you know that you can buy such vehicles online from an auto auction site and use them as a gold mine for spare parts. Looking to Buy Salvage Cars Online? Salvage cars are ideal for a number of car buyers with different needs. If you’re looking for a junk car to put it to any of the purposes we have discussed, your search ends at AutoBidMaster.com. We are a trusted online auto auction marketplace offering all types of salvage and used vehicles for sale. Check out our large inventory of vehicles. Register and start bidding, today! If you have any questions, simply call +1 (503) 298-4300. 3 Simple Hacks to Keep Your Vehicle as Good as New!